Totem Ocean Trailer Express and Rain Dog Designs installed these rain gardens to treat stormwater runoff at its shipping terminal at the Port of Tacoma. 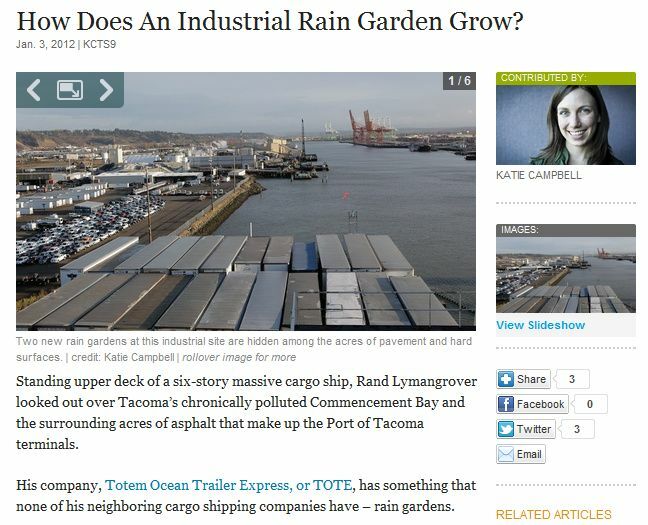 Katie Campbell, KCTS 9, journals this amazing industrial stormwater success story. 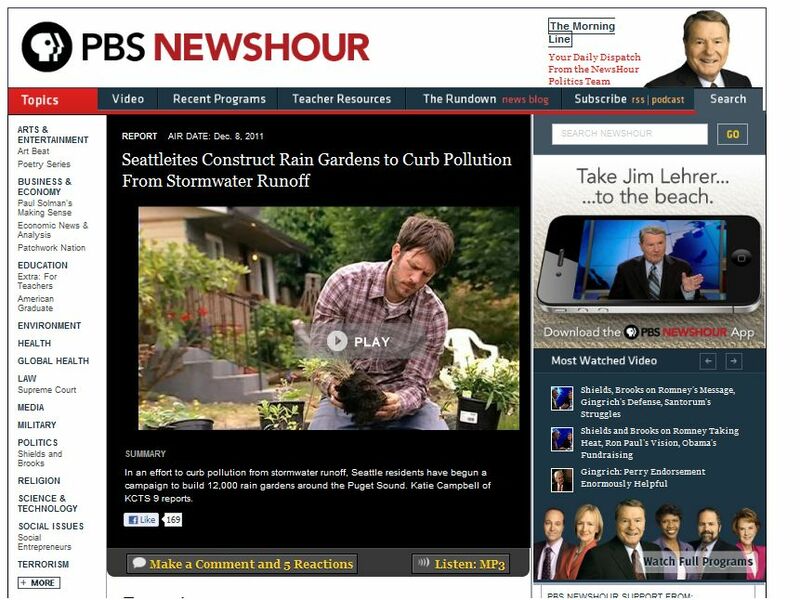 In Fall 2010 Rain Dog Designs worked with Stewardship Partners to write a grant to the National Fish and Wildlife Foundation’s Community Salmon Fund for a clustered rain garden project in the Delridge neighborhood of West Seattle. That application was successful, and combined with other grants, we were able build 10 rain gardens and organize a community planting event in July 2011. 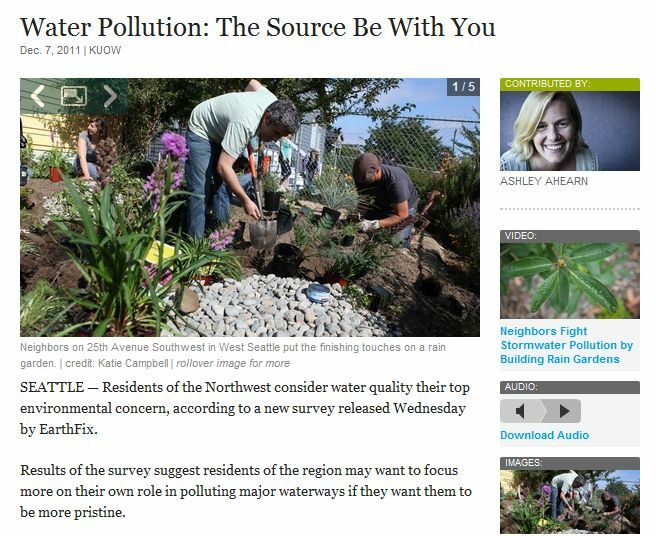 Ashley Ahearn, KUOW, and Katie Campbell, KCTS 9, each tell their stories about the project and the larger Puget Sound and NW Pacific stormwater story. Katie’s story recently aired nation-wide during this PBS News Hour segment. The producer for the PBS series “Saving the Ocean” read Leslie Kaufman’s NY Times story and decided to come and check things out for himself. The shooting schedule was very tight – in just three weeks we pulled together a design, plants and logistics to build and plant a cluster of three rain garden cells at the NAPA parts store in Eatonville, all on Labor Day. 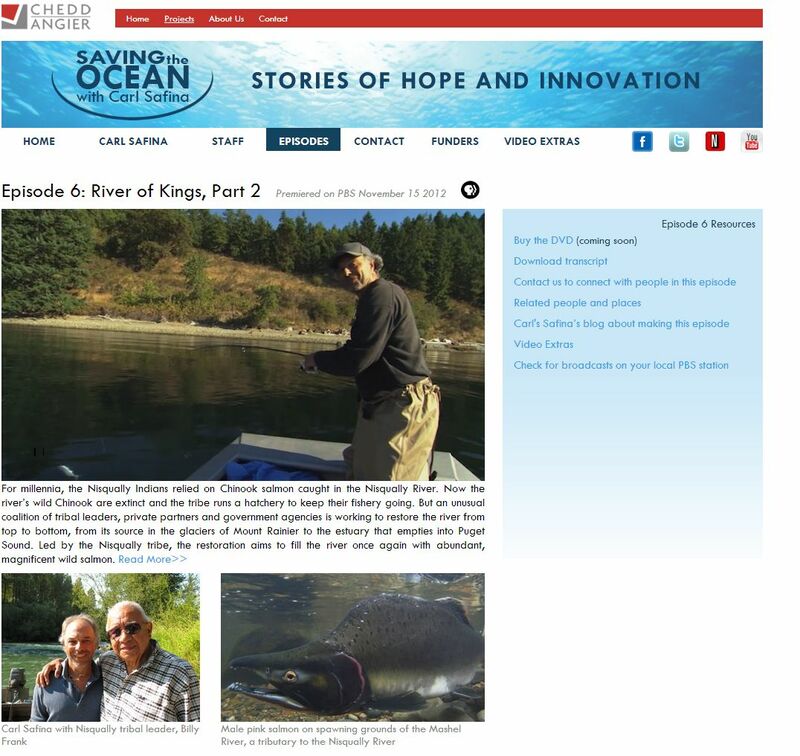 Carl Safina tells the Nisqually River and Eatonville story in Episode 6.